In a time as divisive as the one we live in, few things can unify the American people. Puppies and Tasty videos are the only things keeping us from permanently splintering into utter chaos. Another near-universal opinion is the general hatred for a minor “The Office” character — Gabe. 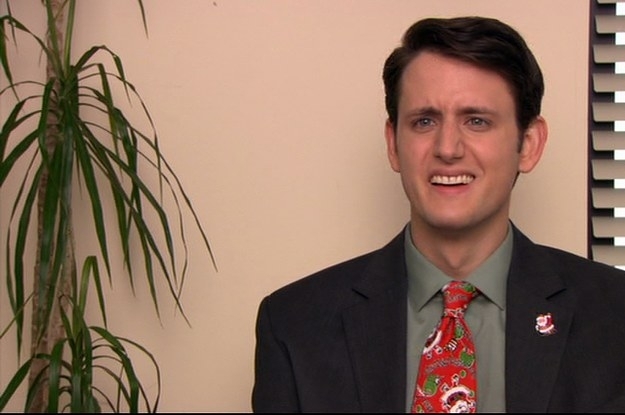 But what if I told you Gabe Susan Lewis isn’t really an annoying and creepy guy? What if I told I actually loved his character? I tell you this not to further divide an already fractured people, but to hopefully shed some light on the underrated and flat-out hilarious coordinating director for emerging regions. Yes, Gabe didn’t get along with the rest of the Dunder Mifflin Scranton branch, but that doesn’t mean he didn’t contribute many a sight gag and outburst to the pantheon of “The Office” iconic moments. Zach Woods’ lanky, pale body and soulless eyes lent themselves well to the overworked and oft harped upon Gabe. Seeing Gabe be constantly berated by Sabre CEO Jo and universally ignored and disrespected by the entire Dunder Mifflin crew hurt me, but it made his unexpected outbursts and feud with Andy Bernard even better. Exhibit A of Gabe Lewis’ genius: his Halloween outfit in season seven. Gabe goes all out for the costume contest as Lady Gaga, corset and all. Not only does the “skeleton man” commit to his catwalk with Mother Monster worthy dance moves, he also gets method in his presentation about sales policies, citing the employees read his “poker face.” I understand that Gabe is a weepy mess, but the physical comedy alone deserves some credit. Another reason I love Gabe is the mutual hatred we share of Andy. The “Nard Dog” is a pompous jerk that has literally made me hate an entire Ivy League School (I’m looking at you, Cornell). Their competition for the cheerful dimwit Erin manifests itself many times over the seventh season. In an interview, Andy keeps incessantly spewing facts about the sun, which prompts an irate Gabe to shout “SHUT UP ABOUT THE SUN!” In a season saddened by Michael’s absence and a lull in sidesplitting bits, this was one of the only bright spots. Other than his horror movie addiction, mysterious trips to Amsterdam and penchant for unsettling looks to the camera, Gabe is a terrible person. But that’s OK, because most of the people at Dunder Mifflin’s Scranton branch aren’t the best. What matters is that he’s funny, and the disrespectful way he is treated by his coworkers and boss is even funnier. Now that I’ve laid my soul bare and exposed the darkest, most shameful secret I have, I hope this can somehow bring us together. Whether it’s to untie and finally give Gabe Susan Lewis the love and (dis)respect he deserves, or to rally against me and my blasphemous ideals is up to you.